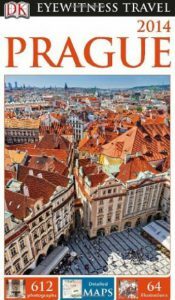 The Private-Prague-Guide.com team was chosen to factcheck several DK Eyewitness Prague travel guides and comes recommended in the Sightseeing tours section. 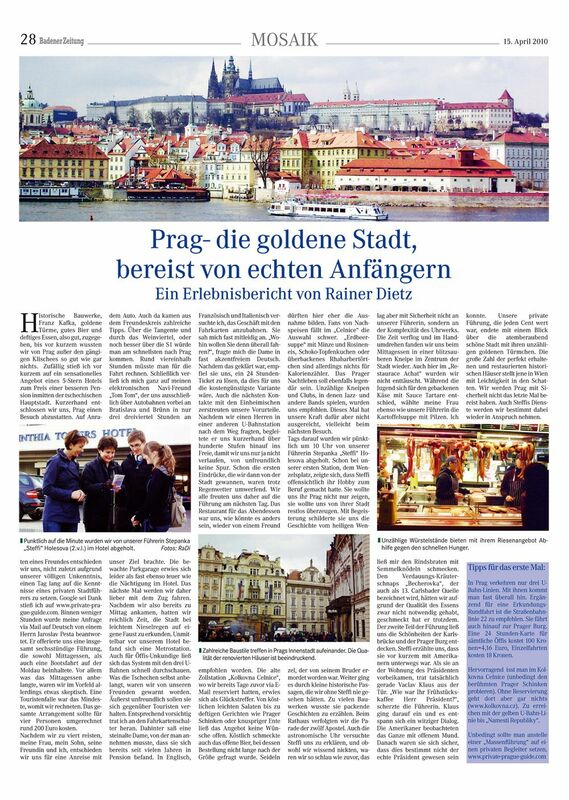 Fodor’s editor Doug Stallings recently spent a week in Prague, learning first-hand why this small and compact city is one of Europe’s most popular destinations. Many parts of the Old Town look just as they did in the Middle Ages. The hotel I stayed in was built in the 1400s. I went to church concerts, ate good food, walked the cobblestone streets, saw the sights, and drank lots of cheap Czech beer. What was your best find? Two things actually. The first was Jaroslav “Jay” Pesta, a private tour guide I found through his Web site (www.prague-walks.com). He guided me all over town on my first full day in Prague. The second thing was Art Decoratif (Michalska 19, Staré Mesto), a store that sells jewelry and decorative art (though not originals) designed by Prague native Alfons Mucha. A boat ride on the Vltava River. We went on a small, restored, 19th-century canal boat, which was much more fun than a 50-seater. It’s not a long tour, just 45 minutes, but you get a view of the city that you can’t get from anywhere else. 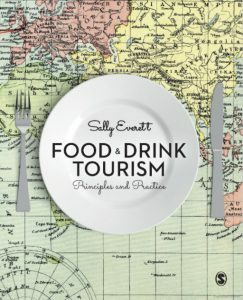 What was the best thing you ate or drank? Pivo (beer). Several brands are popular, including Budvar, the original Budweiser, Pilsner-Urquell, and Gambrinus. My favorite was Staropromen, which is brewed right in Prague. There are also brewpubs, including Pivovarsky Dum, that make their own beer. What advice do you have for someone going to Prague? Prague is a small city, but it draws big crowds, so go in the off-season, January through mid-April, or November through December. Also, my advice is to get out of Prague after 3 or 4 days. 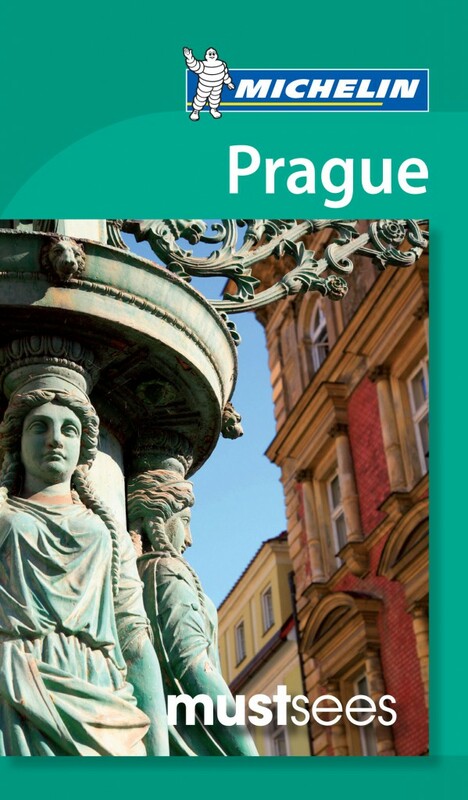 That’s plenty of time to see the sights, and the Czech Republic has a lot more to offer. You can rent a car and wander the countryside or take a train or bus if you don’t want to drive. 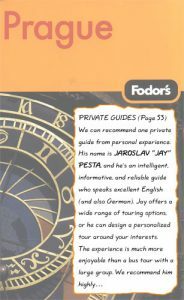 features Private-Prague-Guide.com: The concept of creative holidays is based on creating tourism discourses, offering hands-on experiences where tourists are encouraged to learn and engage in arts and handicrafts, instead of passively “consuming” the work of others. Activities that might have previously been just a tour around a brewery are now two-way interactive encounters which provide productive opportunities for tourists to make their own wine, smoke their on meat, mature their own cheese, or brew their own beer. As our Regional Meeting was held in Prague, we also wanted to get an impression of the wonderful city. 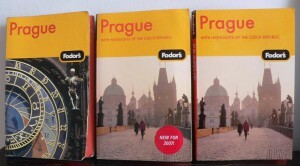 We decided to use the Private Prague Guide Travel Services. We all really enjoyed the guided tour through the Old Town (Stare Mesto) which was simply great: not only amusing, but highly informative and professional and it was delivered in a very charming way. 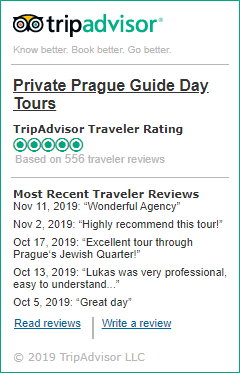 We would recommend Private Prague Guide Travel Services anytime. Hallo Jaroslav, wir haben unsere Tour nach Prag im April sehr genossen. Noch einmal vielen Dank für die hervorragende Organisation. Bitte auch viele liebe Grüße an Eva, die uns in ihrer netten freundlichen Art Prag sehr nahe gebracht hat. Freundliche Grüße. …and many of our clients sent us their testimonials.